The next level - this ultra-light sport climbing harness boasts the latest technologies and a progressive design. 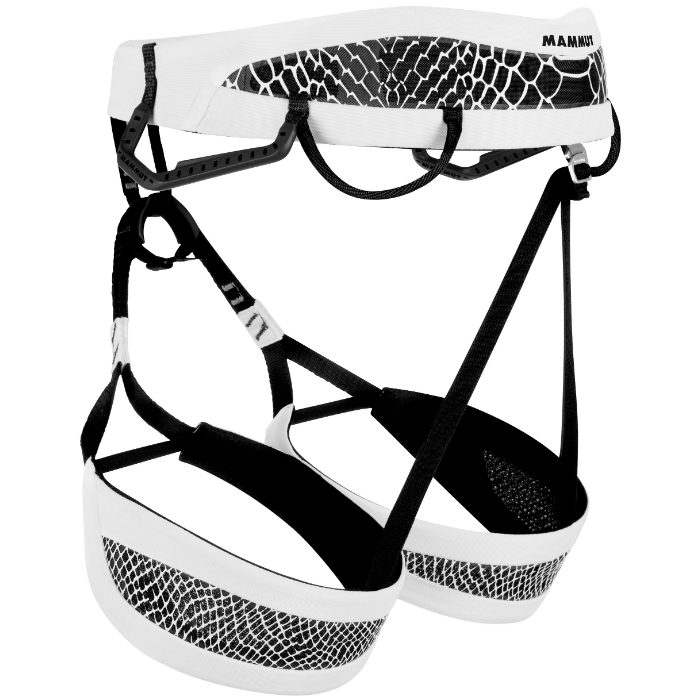 The Alnasca Women uses a combination of split webbing design and Mammut® Frame technology (a lamination process that applies a TPU reinforcement to the mesh material in order to increase the lateral stability of the harness). This allows even distribution of pressure across the entire surface of the harness and unprecedented suspension and comfort. This is enhanced by the anatomical cut and extreme breathability of the harness. If there are differences in weight (due to multiple sizes or optional accessories) we'll list them here. The default weight is the middle-most size, often this is size M.
Gear loops are used to hold gear (quickdraws, cams, etc) onto your harness. 4 gear loops is most common. Most often on full body harnesses or guide/gym style harnesses. Mostly found on lighter harnesses made for [ski] mountaineering or high-end sport climbing where weight is a high priority. The standard/most common number for climbing harnesses. Perfect for sport and trad. Designed for long multi-pitch and big wall climbing, found on harnesses made to hold the maximum amount of gear. Ice clipper slots are made to fit a carabiner that holds ice screws. These slots are generally only used by ice climbers but there is no disadvantage to having them on your harness. 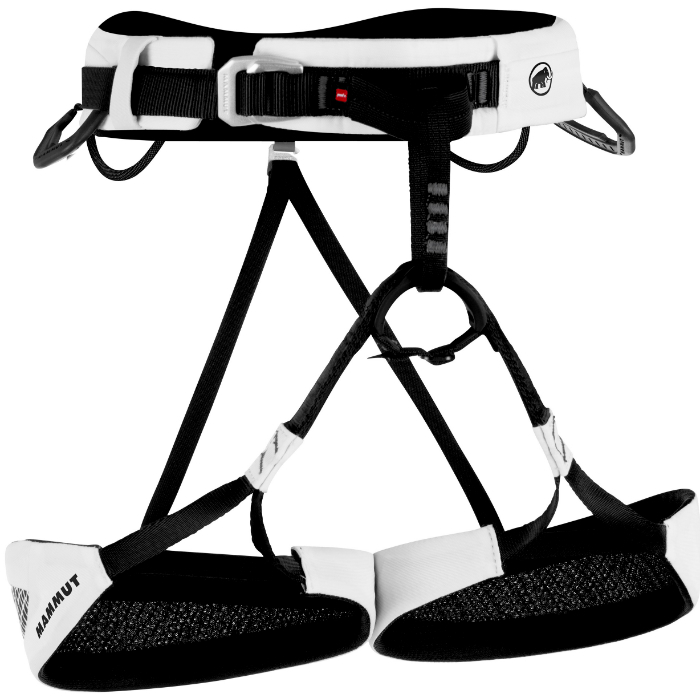 Less than 40% of harnesses will have ice clipper slots. And those harnesses will usually have 2 or 4 slots, often located next to, or between, the gear loops. Trad climbers often look for a haul loop as they're intended to haul a rope (second line) or pack (while you climb the chimney). A haul loop can also hold shoes or other accessories. Although not the intended use, it is also commonly used to hold a chalk bag. Warning, service life, storage and transport with instructional pictures. 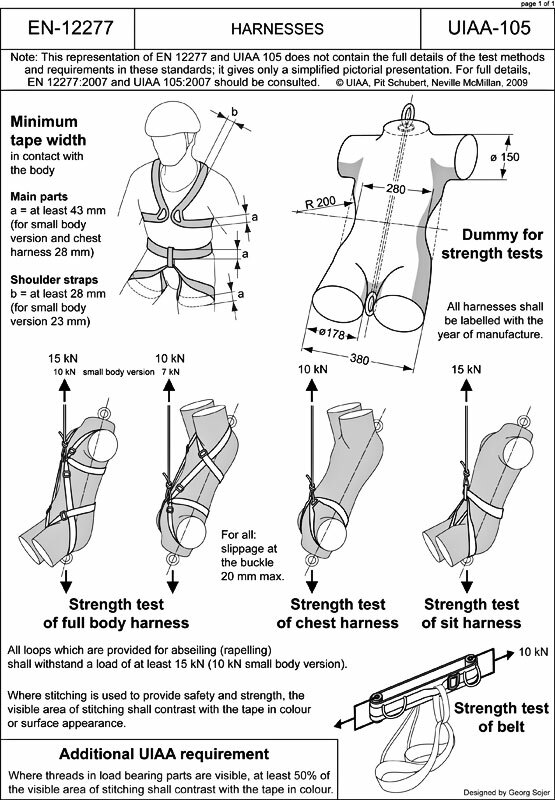 A pictoral representation of UIAA-105 and EN-12277 standards for harnesses.